The United States of America, a cultural powerhouse and dominant world player. Over three weeks the Red+Black Architect took a tour through a few of the most iconic pieces of the USA. First stop on this blog series is the city of Pittsburgh in Pennsylvania. Sometimes referred to as the ‘City of Bridges’, Pittsburgh has a rich history from native Americans, French and British military occupation, colonialists, followed by industrialization. Pittsburgh became a major producer of steel, glass and electronics up until the 1980’s when it went through a difficult transition into the technology and services based city that it is today. Architecturally, one of the most exciting finds in Pittsburgh was the Pennsylvanian Union Train Station, by architect Daniel Burnham which was built between 1898-1903. Unlike Melboune’s most similar equivalent, Flinders Street Station, The Pennsylvanian Union Train Station was not a busy hub of activity during the middle of a weekday. Despite the uneasy atmosphere caused by the complete lack of occupation, the grand domed entrance oozed character. The century old craftsmanship of the masonry is highlighted by feature lighting, which admittedly could use a bit of restoration work. Nonetheless it would be hard to find a better piece of architecture in Pittsburgh. Like Melbourne Pittsburgh is also passionate about their sports teams. Observing a Pirates baseball game is a must for any tourist visiting on game day. Sitting in the PNC Park stadium, it was immediately clear that the stadium had been positioned in such a way as to place the city skyline a backdrop to the on field drama. It is a pity in Australia that our most popular sports do not lend themselves to this arrangement. Sporting teams at the highest level often have a home city and what better way to cement that relationship than with a constant visual reminder. A later trip to Yankee Stadium in New York showed that this approach of aligning the stadium with an iconic city view is not universal. 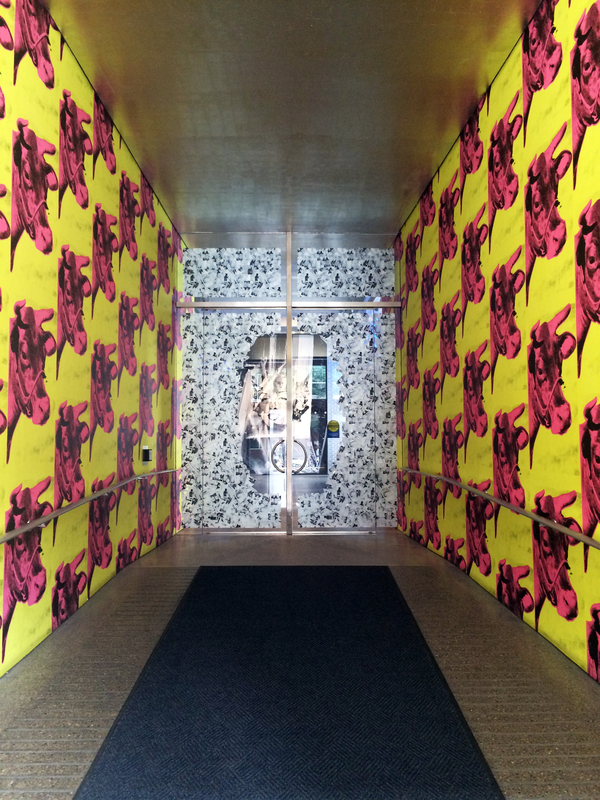 The clear creative highlight of Pittsburgh is the Andy Warhol Museum. Famous for painting cans of Campbells soup, Warhol was instrumental in the Pop Art movement. Over six levels, the museum takes a chronological approach to Warhols work, with each level covering a period of his career. A particular highlight was Warhol’s work with Billy Kluver on a piece called silver clouds. In a room with black painted walls a collection of inflated silver pillow shaped balloons float gracefully around the space. 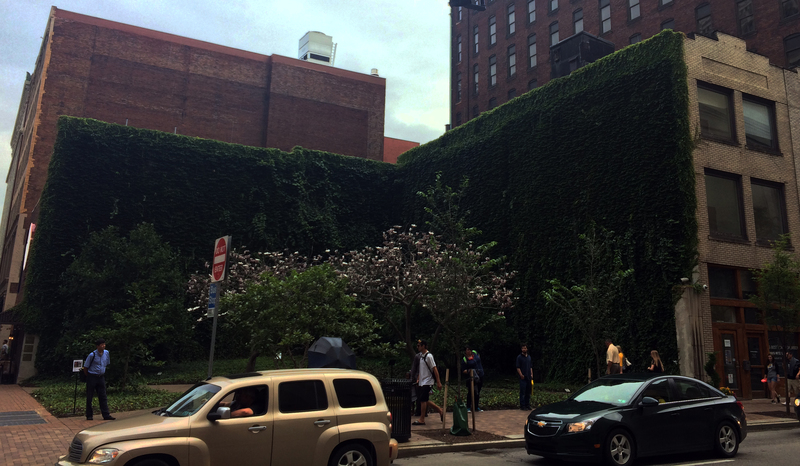 Pittsburgh does the small park typology very well. The picture below says it all. Melbourne’s stadiums are generally isolated from active streets, due to their positioning within parks or adjacent train lines. PNC Park was able to capture the skyline views but was also able integrate at the street level with supporting shops, restaurants and bars. The majority of the Pittsburgh CBD riverfront is surrendered to freeways. It would appear that the city would benefit greatly if some of these were reclaimed for public space. The consistency in paving, repair and maintenance of walkways and the general experience of pedestrian travel was noticeably poor. Even at some road intersections with traffic lights the experience was poor. There was no consistent approach to pedestrian call buttons, making life for the pedestrian more difficult. There was very little in the way of street art. Whilst there were a couple of large murals, there was little in the way of sculpture, buskers or street performers. 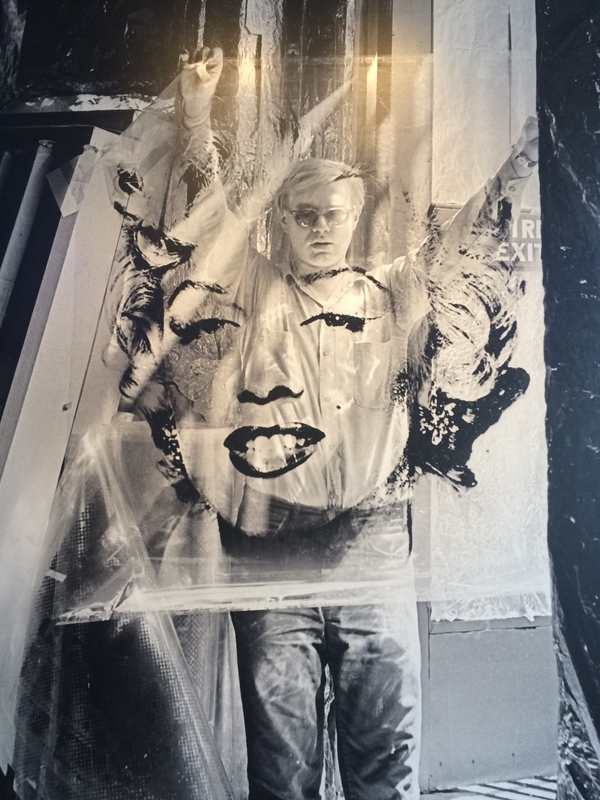 Clearly, with the city’s connection with Andy Warhol, there is potential for a much stronger art presence in Pittsburgh. It would be hard not to comment upon Pittsburgh’s heritage architecture as a big asset for the city. Like Melbourne which has some fantastic examples of late nineteenth and early twentieth century architecture, Pittsburgh to has historic buildings that exude a stately presence towards the street. It is a perfect example of how architecture can lift a city from being a mere place of commerce and congregation to a place of atmosphere and energy. This entry was posted in all posts, International, Uncategorized and tagged Andy Warhol, Daniel Burnham, Pennsylvanian Union Train Station, Pittsburgh, PNC Park. Bookmark the permalink.